What Property to buy in Crete? Where to buy Crete property? You may have a good idea about where on the beautiful Greek Island of Crete you want to buy your Crete property. Look through our Towns & Villages of Crete section for inspiration. If you haven’t quite made up your mind and are still thinking about it check out our Crete Property Guides for property throughout the Island. You may have already chosen the Prefecture of Chania, the westernmost of the regions of Crete. Its capital is the attractive town of Chania where modern, Venetian and Turkish traditional architecture are blended together creating a distinctive and enchanting location. Other breathtaking Cretan villages and small towns in the prefecture of Chania range from coastal fishing villages to hideaway mountain locations. You may prefer the prefecture of Rethymno for your ideal location for your Crete property. The Rethymnon area basks in a plethora of truly picture postcard perfect towns and traditional villages. Or the prefecture of Heraklion (Iraklion) with its countless beautiful Cretan villages and small towns may be the place for you. And if you prefer the traditional Cretan way of life, the prefecture of Lassithi maybe just right for you. Lassithi offers beautiful locations including lovely beach resorts and other fabulous picturesque inland villages. We are completely crazy about Crete! We love living here and have absolutely no regrets about packing up and relocating to this fabulous Island permanently. If you feel the same way then choosing your Crete property is your next step. If you are looking for a Crete property as a retirement or holiday home, investment property, permanent residence or ‘Buy to Let’ property then begin your search now, by checking out the estate agents offering Crete property and real estate in our comprehensive and informative Real Estate Guides. 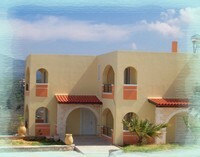 Buying a property in Crete is generally straightforward. 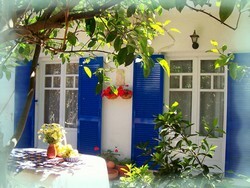 We found both buying and selling property in Crete uncomplicated. Lawyers speak very good English and smoothly take you through the buying process. We have experienced a lot of talk about Greek "Bureaucracy" and lawyers and other officials operating under so called "Greek Time", but our experience in buying and selling in Crete was not that far removed from such experience in the UK for example. Fairly simple and straightforward. What Crete property to buy? The type of property you choose to buy is very dependent on your budget, size and location requirements. Added to this are your preferences for a sleek brand new villa or a character cottage in need of renovation – and everything in between. If you long for the charm and character of an old stone village house and are prepared to restore or renovate there are plenty of choices in all areas of Crete. Be aware though, that your budget should factor in the often-unpredictable costs of renovation. As a rule of thumb you will need to double the amount you pay for the ‘bargain’ crumbling property to cover restoration costs. You will need to employ the services of a good architect who can supervise the renovation or building project and keep you well informed of the progress. And if you think you can cut costs by your own DIY efforts, think carefully before proceeding. Building regulations are strictly adhered to and renovations or building which requires a building permit will need local registered tradesmen to do the work or sign off on your work. The IKA (National Insurance) will need to be paid for the man-hours used in any building work, whether completed by local tradesmen or yourself. There are many property developers and real estate agencies offering new houses ready to move into immediately in many areas of Crete. 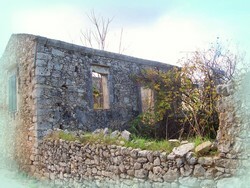 The prefecture of Chania has many such properties. Take care though to shop around and compare prices between different estate agents. New build houses are seldom sold exclusively through just one real estate agent. The asking price can vary greatly for the same property from one estate agent to another. If your budget won’t stretch to purchasing a new build property outright, you can take the new development option. New developments are normally where one large piece of land has been subdivided into smaller plots on which individual properties are built. These often have shared swimming pool, which lower the cost than having one built just for you. And the costs of building, obtaining building permits and costs of bringing utilities are shared amongst the individual properties, thus lowering the cost. These type of properties are often offered ‘off plan’. Take care if deciding to buy off-plan. Off-plan involves buying a property before it is built. You cannot visibly see exactly what you are buying and it can be a lengthy time period before the property and surrounding development is completed (years in some cases!). All manner of problems can arise if the building is not constructed according to the original schedule. Choosing a plot of land and building your house on it is in an appealing option for some. This option does however have similar drawbacks as the restoration or renovation of an old property. The need for a good builder/architect is essential. Seek out the unbiased recommendations of others who’ve had positive experiences of going down this route. There is an emerging market of resale property. These are houses previously owned by non-Greeks such as ex-pat Brits, Scandinavians and Germans etc. The benefits of buying a resale property such as this are that the property will normally have been renovated, decorated and maintained to northern European tastes. Coming soon are a selection of Resale Properties to suit all tastes.